Entirety of an organism's hereditary information. Elucidating the human genome sequence is one of the major scientific endeavors of our time. The entire Human genome – " Without a doubt, the most vital, most astonishing map ever produced by man kind ". What more powerful form of study of mankind could there be, than to read our own instruction book? [– Francis S. Collins ]. The recent news of successful sequencing of human genome – Human Genome Project has made international headlines. What is genome? How unlocking its mysteries benefit the mankind? "How would it affect your life, if your DNA is sequenced at birth? A new project aims to find out ". A human genome is made of 3,000 million base pairs, split into 46 chromosomes Human genome consists of 3 Billion base pairs (AT and GC) which are arranged in a sequence. Every organism, including humans, has a genome that contains all of the biological information needed to build and maintain a living example of that organism. The traits such as brown, blue or gray eyes; black, brown or blond hair are transmitted from parents to offspring through discrete heritable units called "genes" which can be sorted and passed along, generation after generation, in undiluted form. The biological information contained in a genome is encoded in its deoxyribonucleic acid (DNA) and is divided into discrete units called genes. You can visualize the DNA through the following diagram. Human genome for example, consists of 3 Billion base pairs (AT and GC) which are arranged in a sequence. 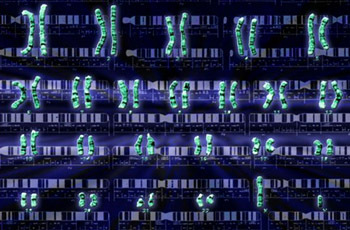 The human genome has 46 Chromosomes consisting of 30,000 genes. Only 25% of the human sequence identified is contained within genes (the coding DNA) and only about 2% of the genetic code contains information to produce proteins. 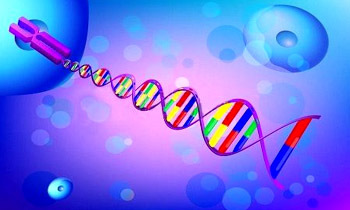 So from 50–75% of the sequence is non–coding DNA or the "string" between the genes. The number of genes in humans and other organisms is quite similar. However, humans have on an average of three times as many kinds of proteins as the fly or worm. This is because the genetic code of the human genes can be read in a variety of ways, producing on average 3 proteins per gene compared to one protein per gene in the worm. Why humans look different from each other? 0.1% of the human genome varies from individual to individual and this difference makes everyone of us unique. So, why was it necessary to decode the entire sequence of all the 30,000 genes? Imagine two people Rita and Rebecca having gone to doctor to get treated for common cold. The doctor gives the same prescription to both of them. Rita recovers in few days, whereas Rebecca&apos;s situation worsens. Why is that both having common cold reacted differently to the same medicine? The answer lies in genes. It has been found that human genome is 99.9% similar for all human beings. However, 0.1% of the human genome varies from individual to individual and this difference makes everyone of us unique. Of the 3 Billion sequences, 3 million is unique for every individual. This small difference is large enough to make people react to different substances (food, medicine) differently. The base A should always pair with the base T and the base C should always pair with base G. Sometimes, the bases don&apos;t align properly, instead of a C there is A or instead of T there is a G. This can sometimes be good, and sometimes be bad. Some people have special skin, or beautiful eyes. However, the mutation can sometimes be dangerous. The mutation can cause diseases that are passed down generations. For example if your grandfather suffered from eye disease, then there is every chance that you too may suffer from it. Behold your very own DNA with the help of DNA microarrays! DNA micro-arrays have moved to center stage in many areas of biomedical research and are now assuming an increasingly important role in diagnostics and in pharmacology. The traditional method of medical treatment of human beings has been through the method of trial and error. The trial and error has sometimes caused adverse side effects to many people whose bodies rejected the prescribed medicines outright. Medical fraternity for long didn&apos;t understand that every individual is unique. The decoding of human genome is going to change it all. 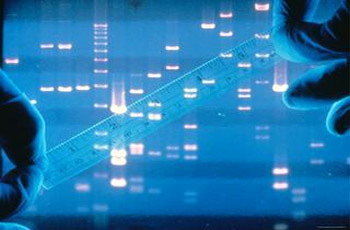 Now every patient can carry his report of their genome and doctors will quickly identify which gene is malfunctioning. They will be given treatment accordingly. 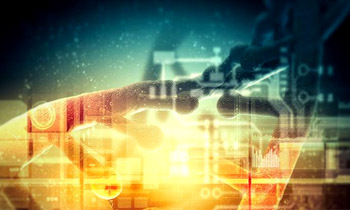 Genomics – A new age of wonder in the field of Genetics Scientists and Biotech researchers say they hope that genomics, the study of genes and their relationships, can lead to a catalog of disease genes and pave the way for new therapies that are tailored to individual needs. 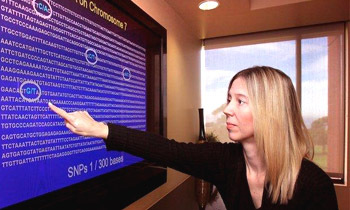 The Applications of Genome research comes into the territory of genomics. Rapid progress in genome science and a glimpse into its potential applications have spurred experts to predict that biology will be the most important science of the 21st century. Technology and resources generated by the Human Genome Project and other genomics research are already having a major impact on research across the life sciences. The potential for commercial development of genomics research presents us with a wealth of opportunities. Living well starts with knowing your DNA! We are on the brink of a new era of personalized, gene–based medicine. As genome sequencing becomes routine, the availability of individualized genetic/genomic information is changing and challenging the practice of medicine. Stratification of common diseases based on the individual's genetics is increasingly possible, as is the best choice of pharmacological agent to be deployed to combat that disease. At the same time, personal genome sequencing generates large amounts of data that will need to be integrated into medical decision making. Use microbial genomics research to create new energy sources (biofuels). Use microbial genomics research to develop environmental monitoring techniques to detect pollution and pollutants. Use microbial genomics research for Carbon Sequestration. Study evolution by observing where exactly mutations occurred in the genomes. Study migration of different population groups based on female genetic inheritance. Study mutations on the Y chromosome to trace lineage and migration of males. Compare breakpoints in the evolution of mutations with ages of populations and historical events. 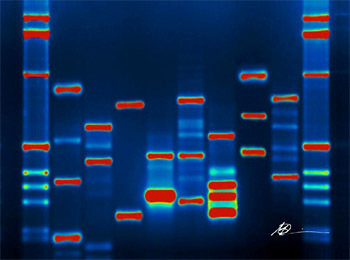 Improving human forensics through advances in Genomics Genetic analysis continues to transform forensic investigations, with each technology advance enabling scientists to extract more and more information from forensic samples. 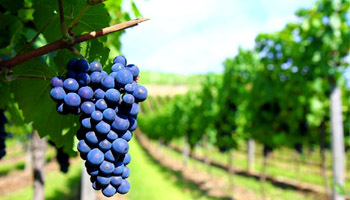 Agricultural Genomics – Improving Crops through Genomics Technology “Agricultural Genomics” is defined as research and development activities that have clear potential to translate genomics technology into agronomic advancement. With the growing demands of food in the world, there is a great need to produce high quality crop that are disease, insect and drought–resistant. There is also a great concern over consumption of animal fat as animals consume variety of foods. Genomics can help in creating healthier, more productive, disease–resistant farm animals. There is a concern that today children are suffering due to food contaminated by chemical based pesticides. Genomics can help in producing biopesticides that have virtually no content of harmful chemicals. Edible vaccines incorporated into food products. New environmental cleanup uses for plants like tobacco. Genomics is at the forefront of biological research The field of genomics is already shaping the way we grow plants and treat diseases. And the latest technological advances suggest that this may only be the tip of the iceberg. Numerous advances in genetics are being made today, and genomics is at the forefront of biological research. The information content of genetics is increasing at a rapid pace, as the genome sequences of many organisms are added to DNA databases every year. Genomics is the field of genetics that attempts to understand the content, organization, function, and evolution of genetic information contained in whole genomes. 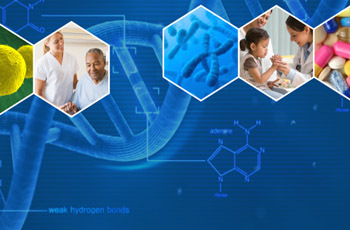 The field of genomics is at the cutting edge of modern biology; information resulting from research in this field has made significant contributions to human health, agriculture, and numerous other areas. It has provided gene sequences necessary for producing medically important proteins through recombinant DNA technology, and comparisons of genome sequences from different organisms are leading to a better understanding of evolution and the history of life. Genomics in Personalized medicine New technology for sequencing human genomes has allowed us to peer deeper into our genetic makeup than ever before. The question now: What will we do with what we learn? Maps are mandatory for finding a new friend&apos;s or relative&apos;s house, the way to an unfamiliar city in your place, or location of a country. Everyone has used a map at one time or another. To find a unfamiliar location, you would probably use a city street map; to find your way to an unknown city, you might pick up a state highway map; to find a country, you would need a world atlas. Similarly, navigating a genome requires maps of different types and scales. Genetic maps provide a rough approximation of the locations of genes relative to the locations of other known genes. These maps are based on the genetic function of recombination. Physical maps are based on the direct analysis of DNA, and they place genes in relation to distances measured in number of base pairs, kilobases, or megabases. Genetic maps provide a rough approximation of the locations of genes In the context of genomics, annotation is the process of marking the genes and other biological features in a DNA sequence. 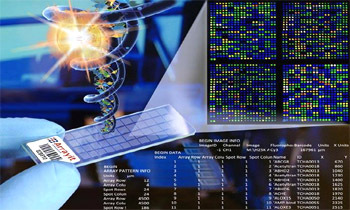 Bioinformatics is the application of computer technology to the management of biological information. 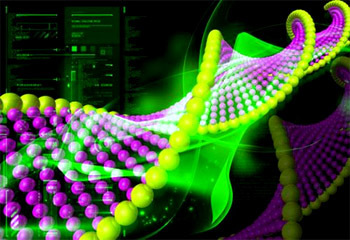 This particular science mainly concerned with developing databases, computer–search algorithms, gene-prediction software, and other analytical tools that are used to make sense of DNA, RNA, and protein-sequence data. Complete genome sequences have now been determined for more than 1000 organisms, with many additional projects underway. These studies are producing tremendous quantities of sequence data. Cataloging, storing, retrieving, and analyzing this huge data set are major challenges of modern genetics. The development and use of algorithms and computer software for analyzing DNA and protein-sequence data have helped to make molecular biology a more quantitative field. 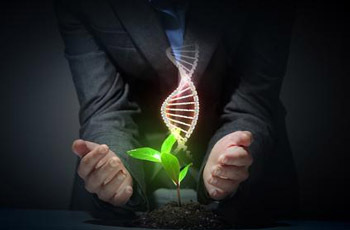 Thus, having complete genome sequences of crop plants and domestic animals will make it easier to identify genes that affect yield, disease and pest resistance, and other agriculturally important traits, which can then be manipulated by traditional breeding or by genetic engineering to produce greater quantities and more nutritious foods. In the future, whole or partial genomic sequence information will be used in individual patient care. 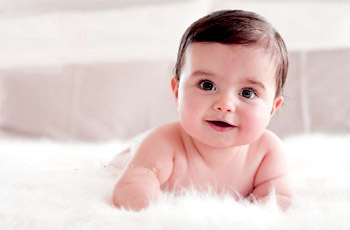 Should babies have their genomes sequenced at birth? Some medical researchers think that newborn genome sequencing could be a huge boon to people&apos;s health. Currently, new born babies are screened for a large number of variations in genetic sequence that confer high risk to treatable diseases, such as coronary artery disease, hypertension, asthma, and certain types of cancer. For those persons who are identified as genetically at risk, preventive treatment may be started early. In the future, the focus of Genomics efforts will shift from the genomes of different species to individual differences within species. In the not too distant future, each person may possess a copy of his or her entire genome sequence, which can be used to assess the risk of acquiring various diseases and to tailor their treatment should they arise.